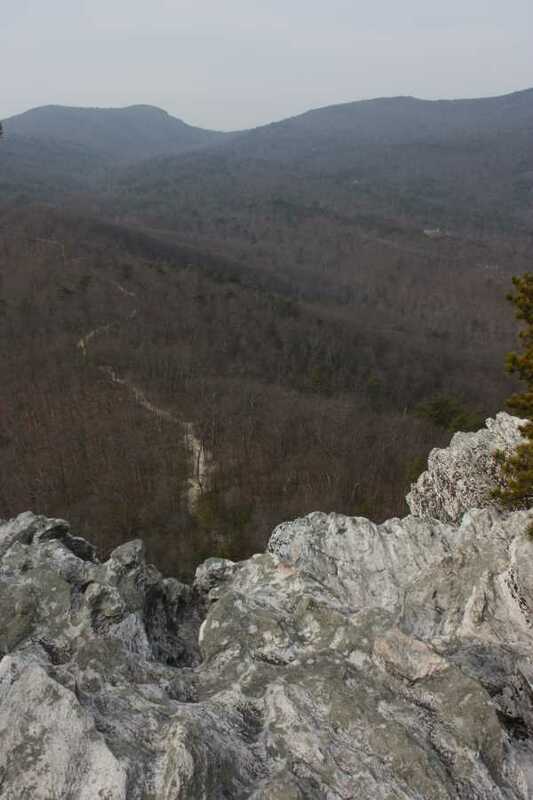 Hiking the namesake trail in Hanging Rock State Park offers visitors incredible views at the cost of a moderate climb over this short trail. 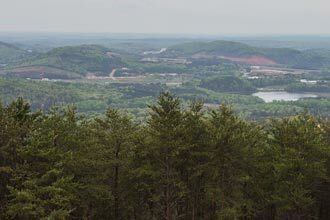 Only an hour away from Winston-Salem and Greensboro, this is an excellent park for a quick getaway. Don't expect solitude on the weekends, the massive parking lot should be an indication of how busy this park can get. 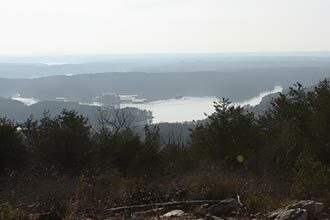 Before heading out, be sure to stop by the visitor center, equipped with clean restrooms, snacks, and a complimentary trail map. 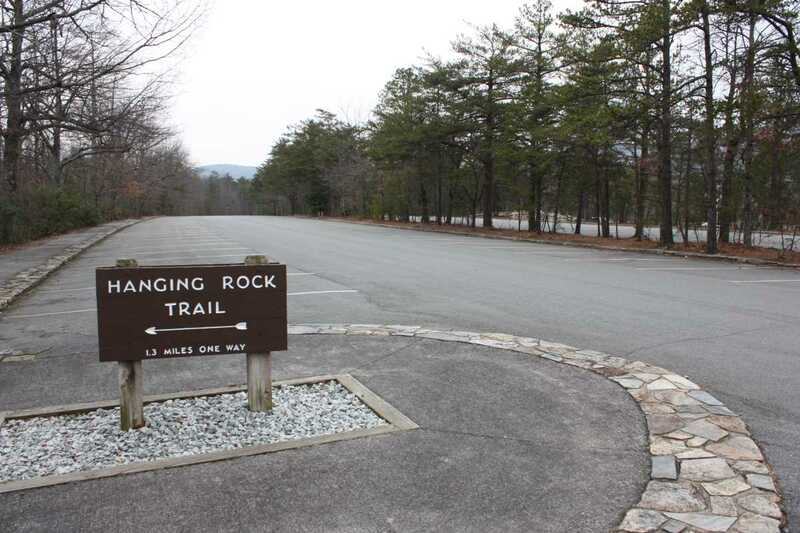 The Hanging Rock trail begins across the parking lot from the visitor center. 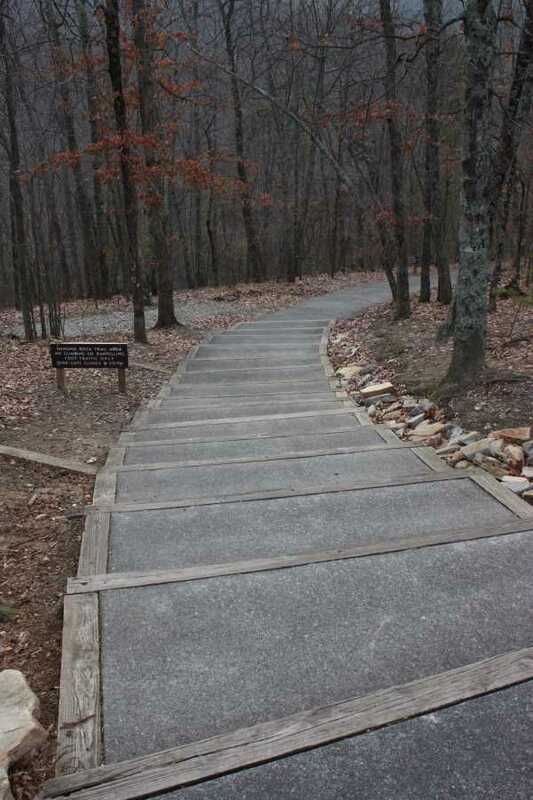 The trail begins with paved steps leading down to a wide, paved path. 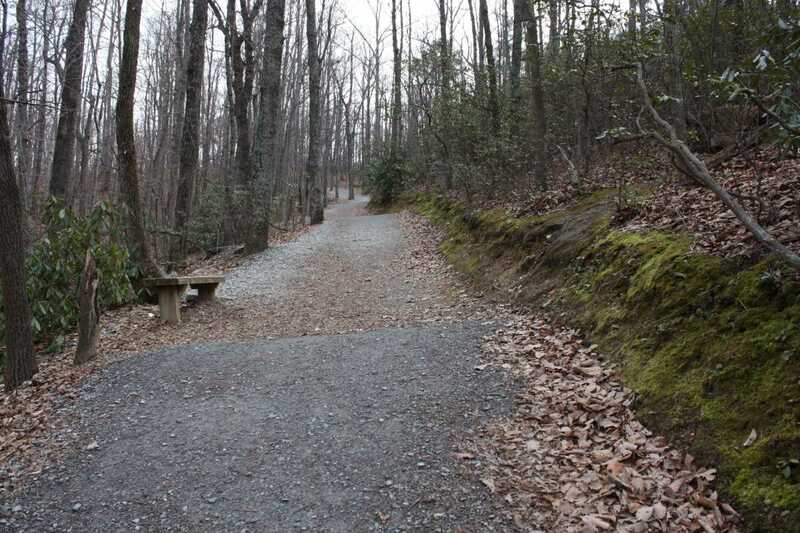 At just over .1 miles the trail begins its first long incline and the pavement gives way to an equally wide gravel path. 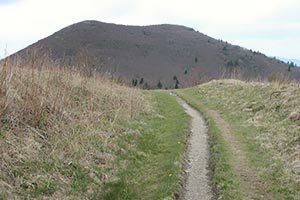 For the next .4 miles, the trail ascends rapidly, gaining 250 feet. 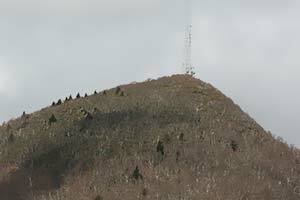 Shortly after passing the intersection with the Wolf Rock trail on the right, the trail flattens out along the ridge. 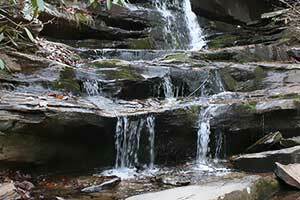 Catch your breath during this section; the rest of the trail is uphill. 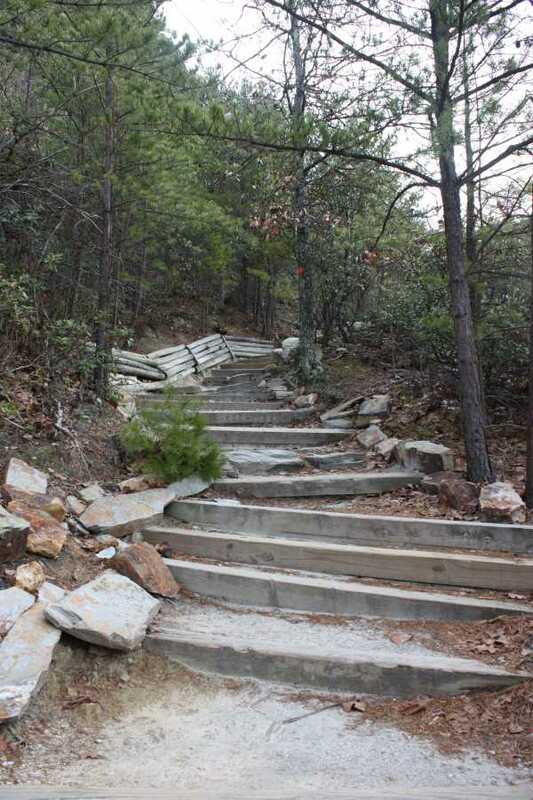 At .85 miles, a series of wooden steps begin a 100 foot climb in .1 miles. 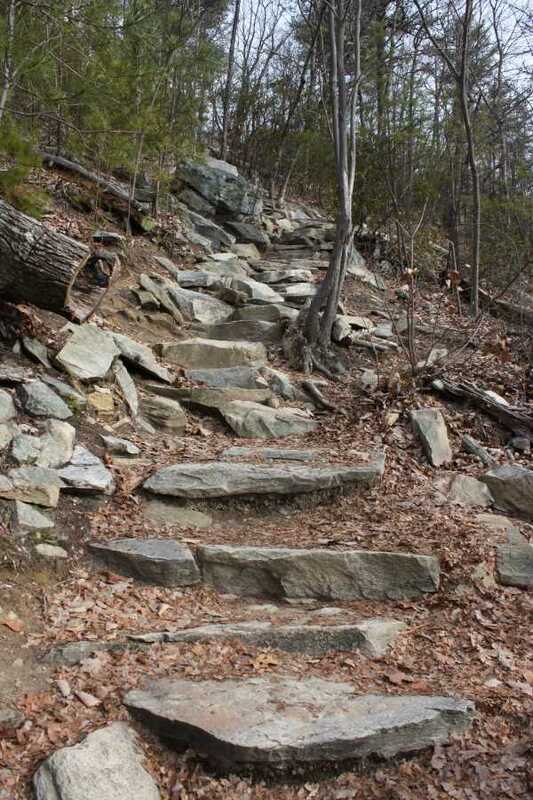 The trail hugs the edge of the rock until coming to another series of stone steps at 1 mile in. 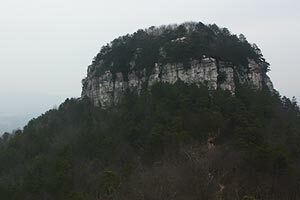 The trail begins to level out near the top, passing several large rock formations before opening up to the double rock ledges of Hanging Rock right at 1.2 miles. 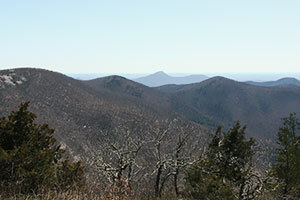 Explore around, there are expansive views to the North, West, and South. Directly below is the trail along the ridge you hiked moments before, and to the left is the visitor center and parking lots. 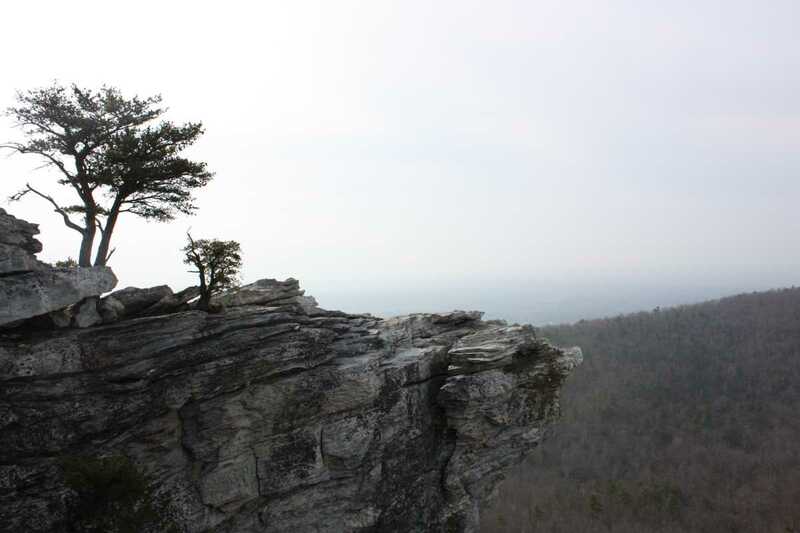 Be careful around the edges, the wind can get very strong on the open cliff face. 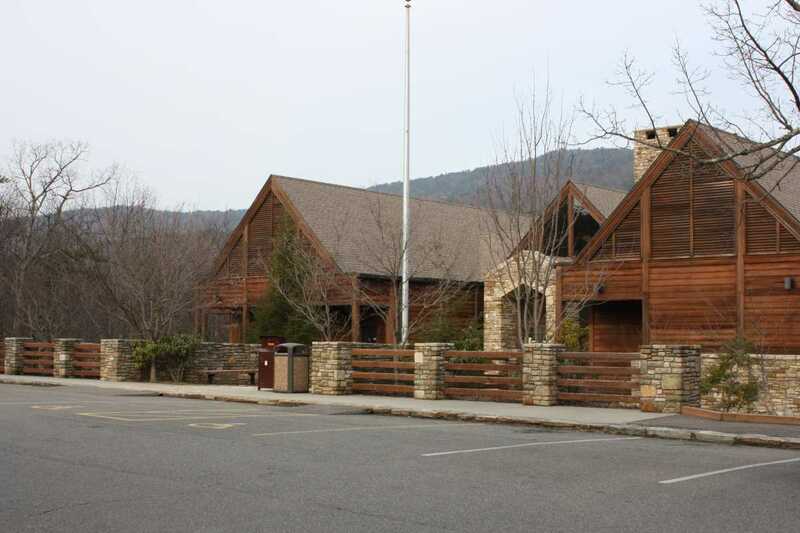 The trailhead is across the parking lot from the visitor center. 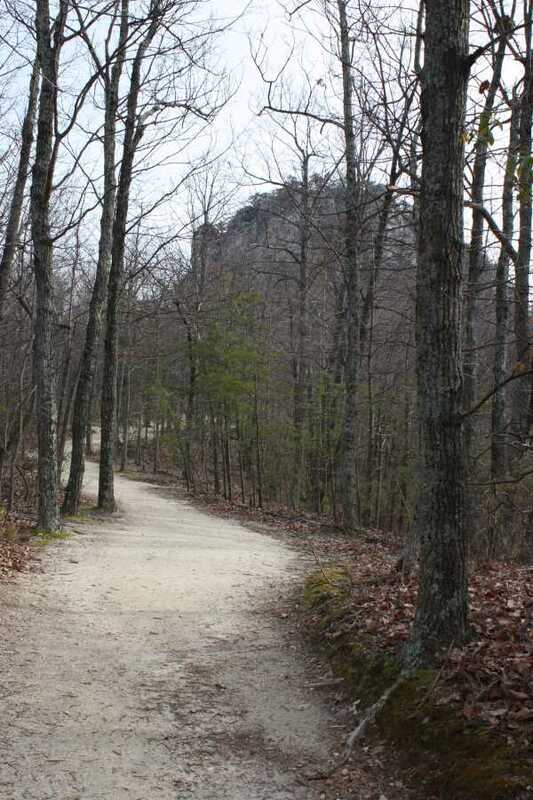 You can pick up a free trail map or use the clean restrooms at the Visitor's Center before you go. 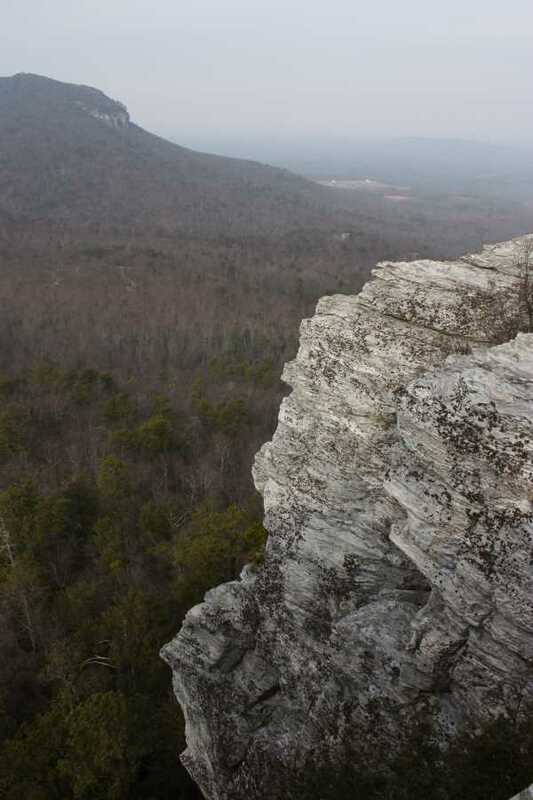 The rock cliffs are straight drop offs and the wind can pick up fast and strong on the exposed rocks, so be careful. 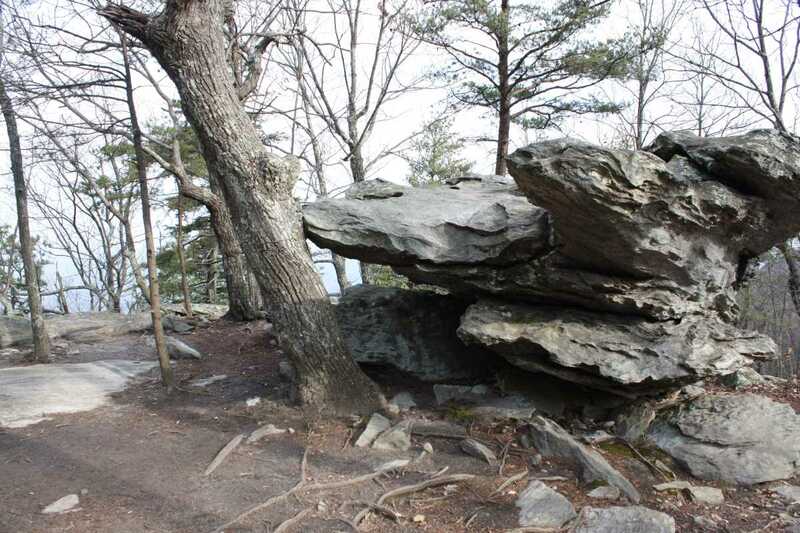 This is a great short hike with amazing views from the exposed outcropping of Hanging Rock. 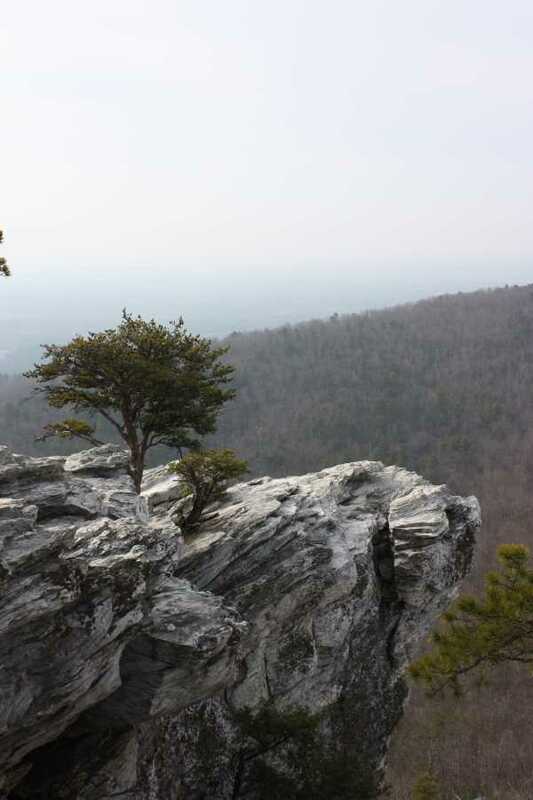 Go on the weekday or off season to have it all to yourself.